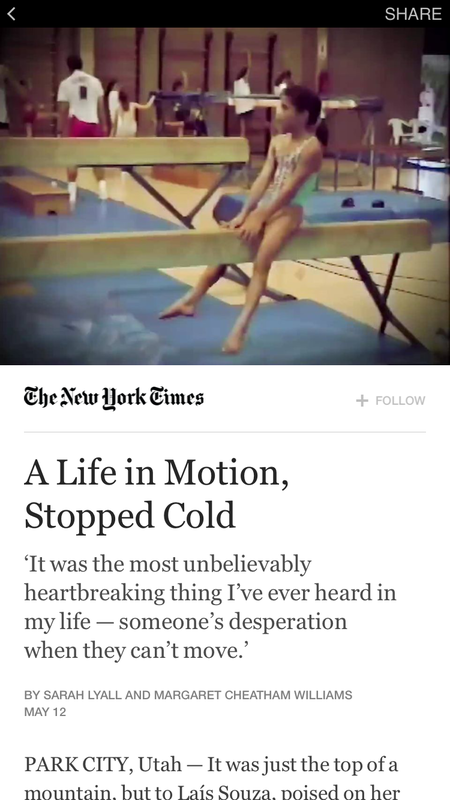 Facebook’s new Instant Articles have arrived. After being a major driver of traffic for publishers the world over, Facebook now has a way to make a little money out of that relationship, while also creating a more seamless user experience. The program, which began today with the New York Times, also includes BuzzFeed, National Geographic, NBC, the Atlantic, the Guardian, and BBC News. The experience is great, from a user perspective. There’s a nearly-instant transition from the enhanced content in the News Feed to the article, which goes full-screen and includes high-res imagery and in-line video. Sharing directly from the content is easy as well and actually includes Twitter!?! Better user experience through inclusion: Users have a smooth transition that doesn’t rely on kicking them to another site. Repurposing some work: It’s hard to look at the full-size articles and not see a bit of Facebook’s Paper app in them. Facebook has done a great job of solving small problems and then bringing those learnings into other aspects of their apps. Keeping users in the app: The less friction users feel when navigating content in and out of the News Feed, the more likely they are to stay in the app. This ultimately means more cumulative time on Facebook and more opportunities for ad serves, which means more ad revenues. 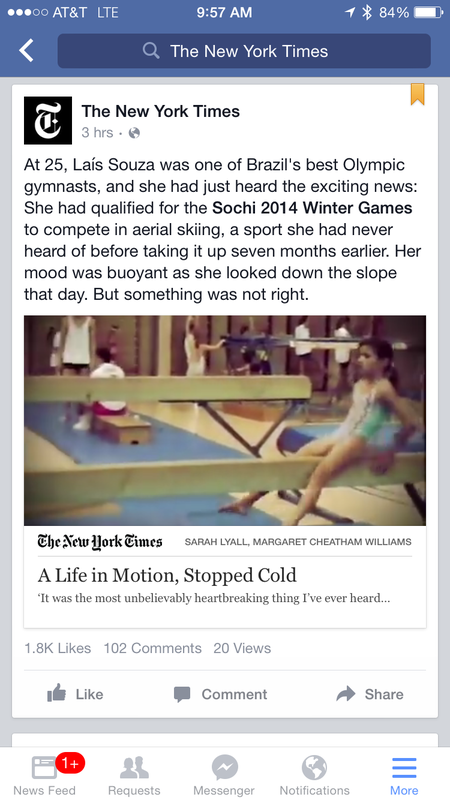 I’m excited to see how implementations from BuzzFeed and others roll out as the NYT, style wise, isn’t a big leap.